Institute of Music Therapy of CCOM was established in 1996, which has multi functions of teaching, academic research, and clinical therapy. It is the only professional music therapy institute in China. The institute started to enroll graduate student in 1999, and enroll undergraduate student in 2003. Currently, the institute enrolls 10 to 15 undergraduate students and 2 to 3 graduate students every year. The Associate Professor Gao Tian is the Director of Institute of Music Therapy, who studied under American renowned music therapist Dr. Bruscia and former Chair of World Federation of Music Therapy Dr. Maranto in the United States. He graduated from Temple University and received MA degree in 1994. He is now the only professional music therapist in Mainland China who has completed his music therapeutic education systematically in abroad. 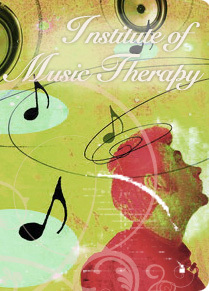 The institute dedicates to create a professional educational program of music therapy on standard international level. The curriculum is strictly offered according to advanced course construction in the United States and apples English textbooks completely in teaching procedures. The institute also invites experts from abroad to give lectures and seminar courses for short or long term. The students are required to reach the standard of music therapist in United States when they graduated from the institute of music therapy. Besides teaching and study in the school, the professors and students also participate in the clinical practices and voluntary activities positively, which are reported by different medium institutions including CCTV and have certain influences in the society. We welcome any prospective student who has certain music knowledge, a loving heart and the spirit of dedication to apply music therapy major. During the study, the student will learn psychology, related medical knowledge, theory of music therapy and clinical technique, as well as music theory and playing techniques. Graduated from school, the graduate will work in the medical and health institution or psychological therapy institution as music therapist and dedicate to heal the physiological and psychological diseases.